The decorations on the mud pot are beautiful! I really like the way you used the oil paint filter on the photos! 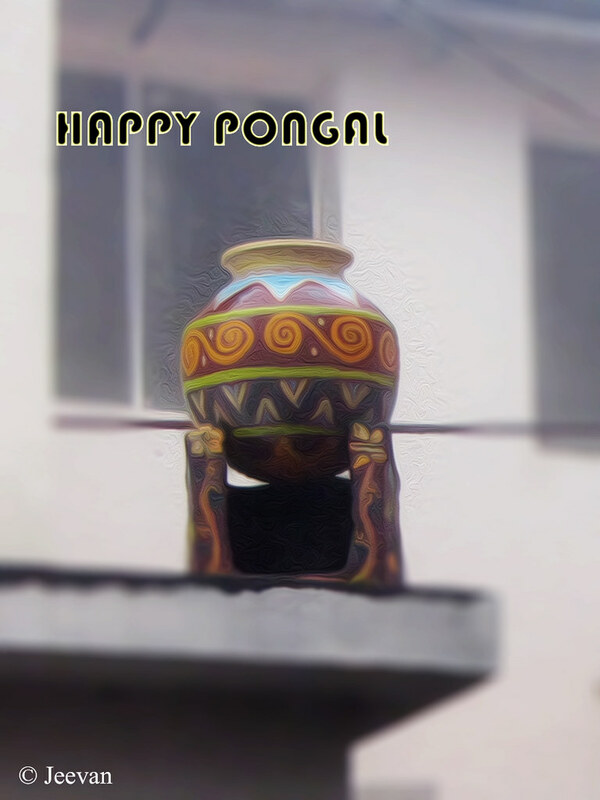 Very cute pot and happy pongal to you ! I am in India this time so enjoying the crowd and malli poo. Happy Pongal to you. Thank you for sharing so much about this celebration in your country. Wish you very happy pongal. I totally love the traditional ways in celebrating festivals, thats why i want to settle in a village.